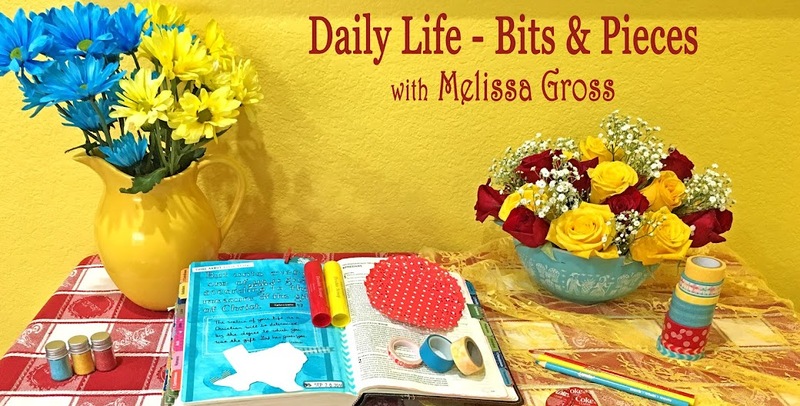 Seeing the doily on the first layout reminds me that I thought of you today when I visited a lovely little paper crafting store near my daughter's. They had a big selection of different colored doilies. 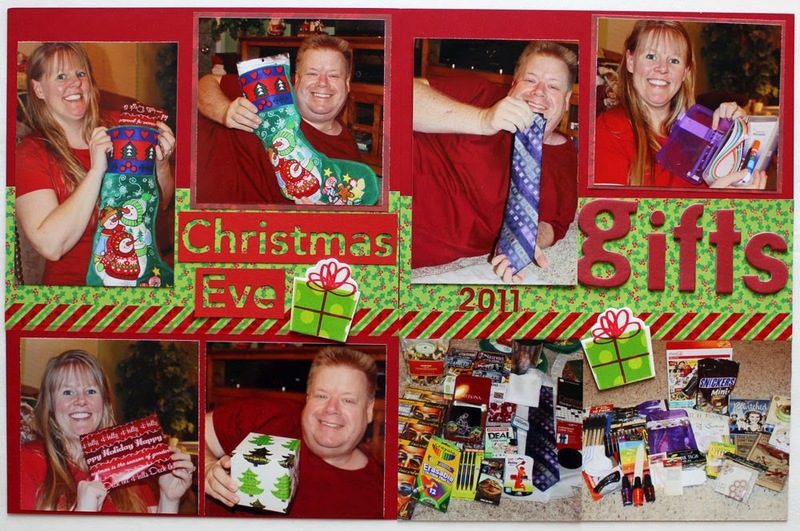 You're making great progress on these layouts---love the Christmas Eve layout; what great photos of you and Robbie! I love that lace border! Beautiful layouts! 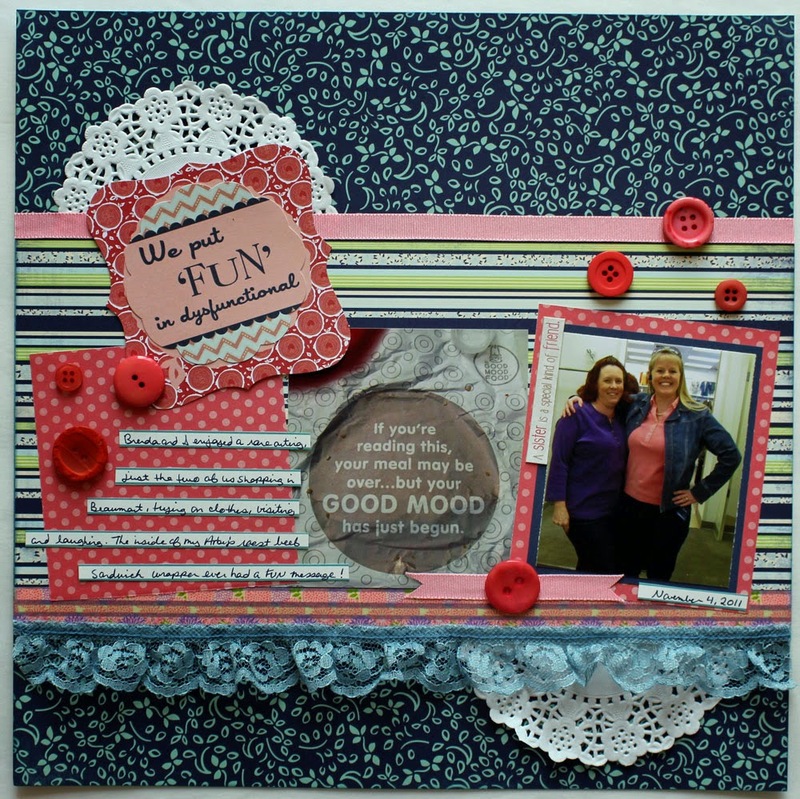 Nothing wrong with scrapping when and in the order that you are inspired! 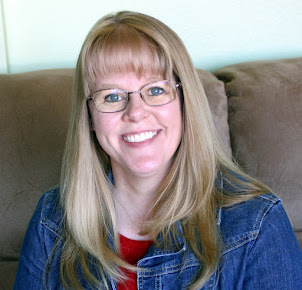 You are making lots of progress, and I'm loving all the red on these pages. You go girl! 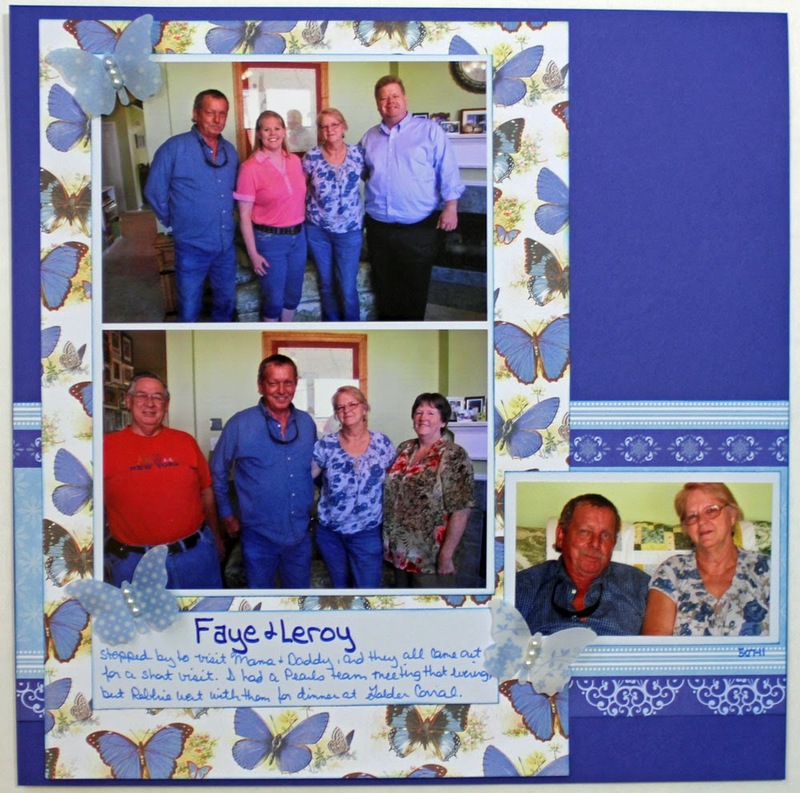 I love the top two pages especially - they really highlight the photos but have fun embellies, too! 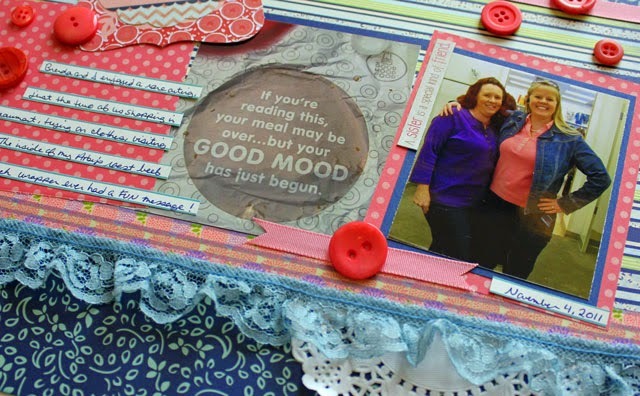 I like Amanda's Scrapbooking blog for page inspiration. I"m hoping to work on her April sketch later today.